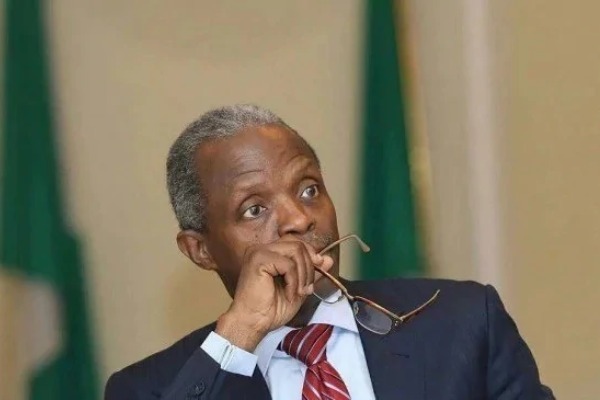 The House of Representatives has accused Vice President Yemi Osinbajo of illegally approving the release of the sum of N5, 865, 671, 939.26 in June 2017 from the Consolidated Revenue Fund Account to the National Emergency Management Agency (NEMA). The report, whose recommendations were based on findings from a thorough investigation by the Hon Ali Isa J.C House Committee on Emergency and Disaster Preparedness, was adopted by the lawmakers. On the issue of receipt and utilisation ofN1.6 billion for flood victims in 16 states, the House Condemned the display of insensitivity to the plight of flood victims showed by NEMA management in the handling of the relief materials and called on ICPC and EFCC to further investigate the matter and recover the sum of N700m from the director general of NEMA, who is the accounting officer of the agency. – On the emergency intervention of food security to the North-East to support the population ravaged by insurgency, a sum of N5,865,671,939.26 was approved and released in June 2017 vide a memo raised from the Office of the Acting President, directing the Hon. Minister of Finance and the Accountant General of the Federation to so act. The details further specified a directive to the Governor of CBN from the Ministry of Finance to pay the sum from theConsolidated Revenue Fund Account which the AGF is to raise a mandate for.This is in contravention of approval of NASS on the issuance of Euro Bond from which the Hon. Minister authorized the payment. The Euro Bond is for specified infrastructural projects and not for discretionary intervention. Furthermore, there is no specific appropriation by the National Assembly. – The Committee noted that NEMA released 2.4 Billion Naira to Olam Nigeria Limited to supply 8,000 metric tons of rice, gave 3 Brother Rice MillLimited the contract to supply 2,000 metric tons of rice at N600,000,000 and N153,160,000 for logistics and transportation of the items, all totaling N3,153,000,000.00. – Committee observed that OlamNigeria Limited and 3 Brother Rice MillLimited were contacted verbally by Ministry of Agriculture to go to NEMA for the jobs without due process. – The contract award letters issued toOlam Nigeria Limited and 3 Brothers Rice Ltd were all signed by the Ag. Director of Relief and Rehabilitation and not by Director of Procurement in contravention of Public Procurement Act. (ii) that the ICPC and EFCC should further investigate the matter and recover the sum of N700m from the Director-General of NEMA, Engr. Mustapha Yunusa Maihaja.